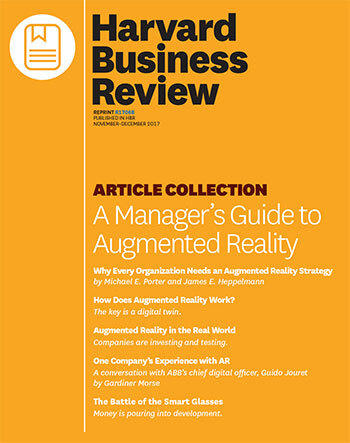 In their third Harvard Business Review article, Michael Porter and Jim Heppelmann define why every organization needs an AR strategy. There is a fundamental disconnect between the wealth of digital data available to us and the physical world in which we apply it. This gulf between the real and digital worlds limits our ability to take advantage of the torrent of information and insights produced by billions of smart, connected products (SCPs) worldwide. AR is the solution.